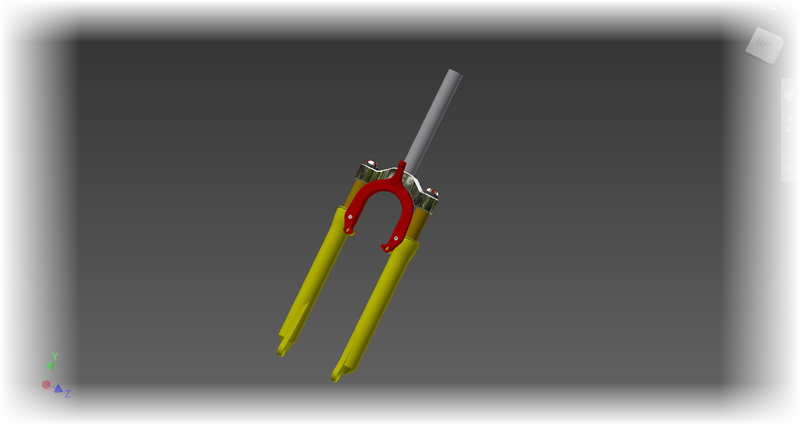 I wish I could say I had the wherewithal to find every last tip and trick there was to find in Autodesk Showcase. But alas, I just can't quite do it. One of those items that has always been on my "I'll get to that some day" list is the creation of custom environments. I've always known that there are a couple of tricks to it that I needed to learn, but with so many things, I never got around to it. Thankfully, while searching one of my favorite Autodesk Showcase channels on YouTube, run by Marion Landry, I found a great video on creating custom environments. Not only did it answer a lot of the questions I never got around to looking into myself, it also had links to Openfootage.net, which has some great hdr images that can be downloaded and used to create custom environments. And the best part is they're all free (although donations are accepted). So here is Marion's video. Take a look and enjoy. This is one of the best videos I've seen for those of us who want to know how to create custom environments in Showcase. Today's bonus blog post is a success story for a company called Enviroguard, who make spill containment systems for batteries, such as the ones found in solar, rail, and switchgear applications. 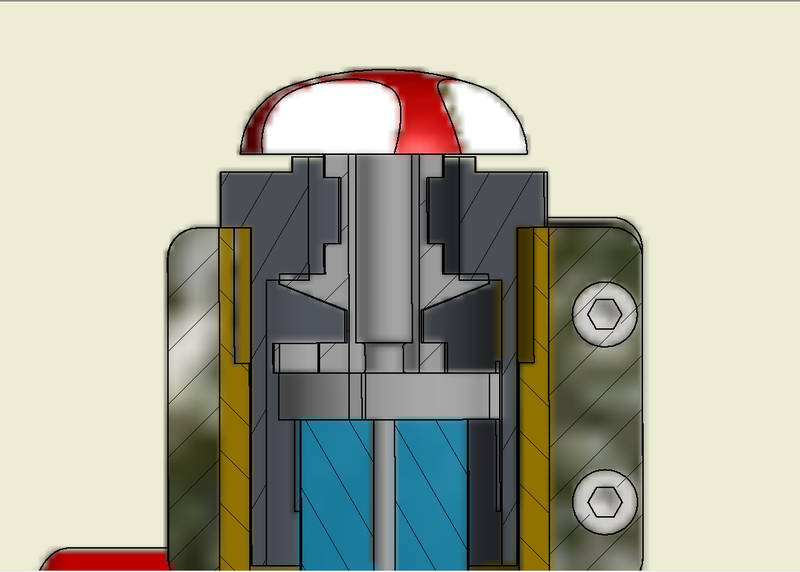 They use the Autodesk Product Design Suite to do all those "buzzwordy things", like "improve efficiency", "increase time to market", "reduce errors". Buzzwords! Ding! Ding! Ding! And of course, these are all good things we all strive for! What I really like about this story, aside from it involving the "home team", is how Enviroguard is combining the different tools in the Suite. 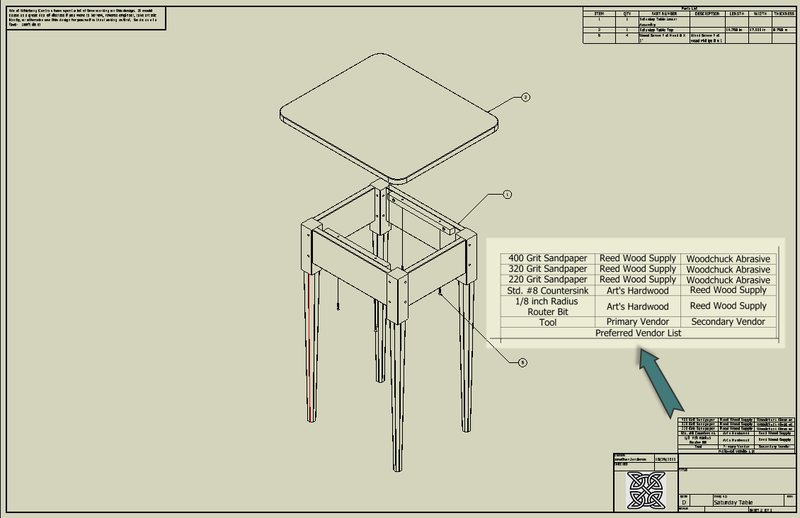 They use Autodesk Inventor with iLogic customization to create new designs, Autodesk Showcase to create the visualization for the design, and Autodesk 3ds Max to create very realistic looking instructions for installing the systems. 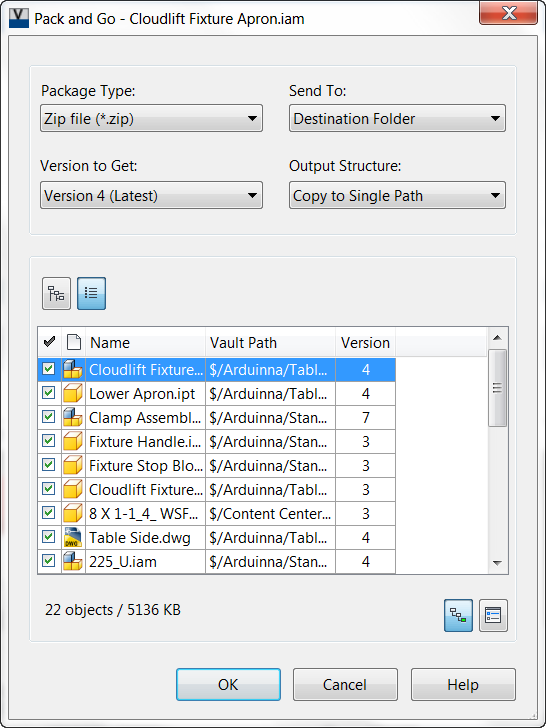 And finally, Autodesk Vault keeps track of the data as it flows around the system, making sure that design are being used, and reused, as efficiently as possible. 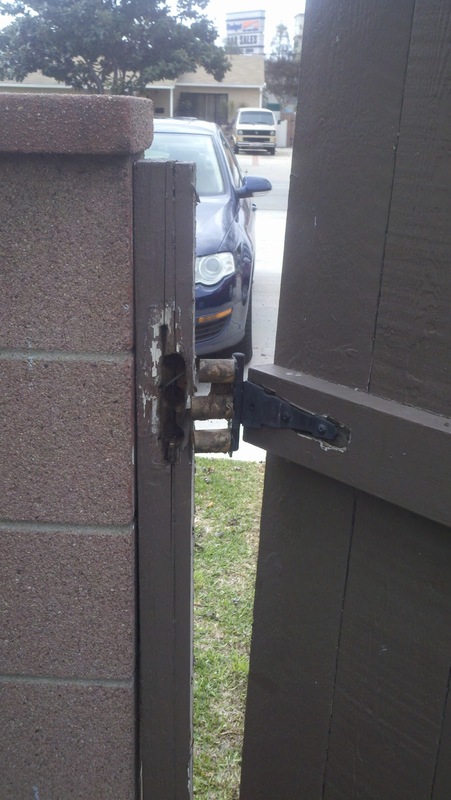 But I'll let Enviroguard speak for themselves with the video below. I think they have a unique approach to create a truly "holistic" system. 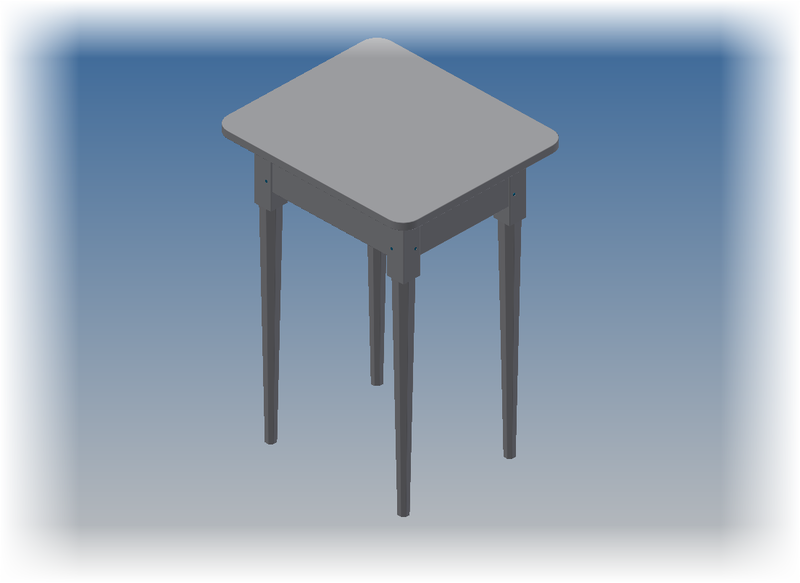 In last weeks blog post, I showed how to insert a table created in Microsoft Excel into an Autodesk Inventor Drawing. But with that table placed into the drawing, there's an additional benefit I think makes this work flow worth considering. 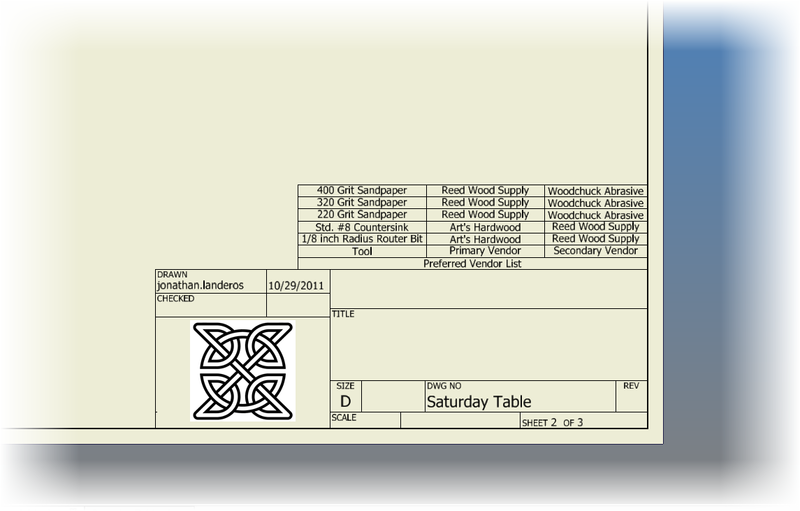 When the Excel table is inserted onto the drawing, it maintains a link back to the Excel file, which make it what many like to refer to as "a single source of truth". In other words, the Excel table can be updated, and all files looking at that table update as well. 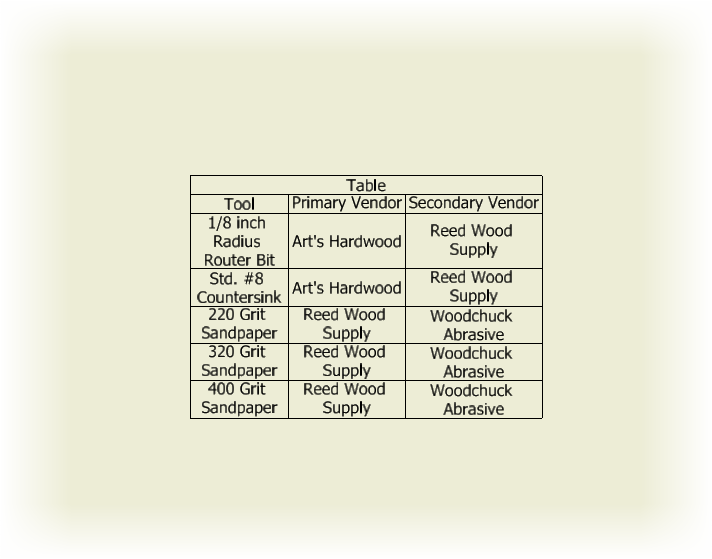 Taking the example I used in my last blog post, I used Excel to create a chart that showed small tools and preferred vendors for a wood working project. I used it as a quick way of inserting standard information without recreating the table. The Excel table used in my previous blog. 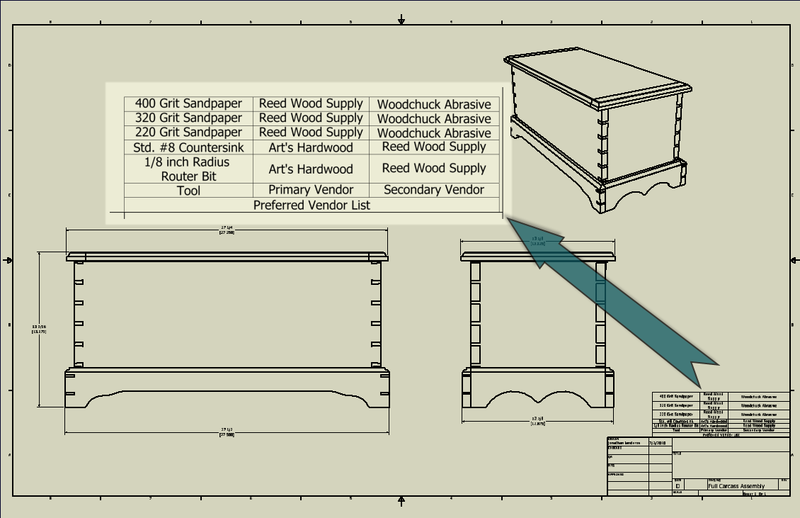 I've taken this particular table, and inserted it onto two different drawings, which will be using the same information, one is the Saturday table I used in last weeks blog, the other, a blanket chest for a different project. For this scenario, I'm going to say that Reed Wood Supply has been purchase by "Blue Sun" (who recognizes that movie reference?). 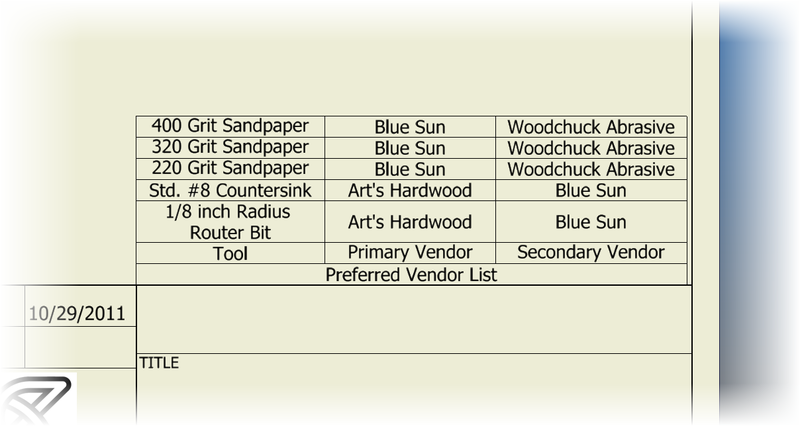 I'm going to stick with them as a vendor, and just swap "Reed Wood Supply" with "Blue Sun". To do that, I open up my Excel table, and make the changes. I can do this in one of two ways. 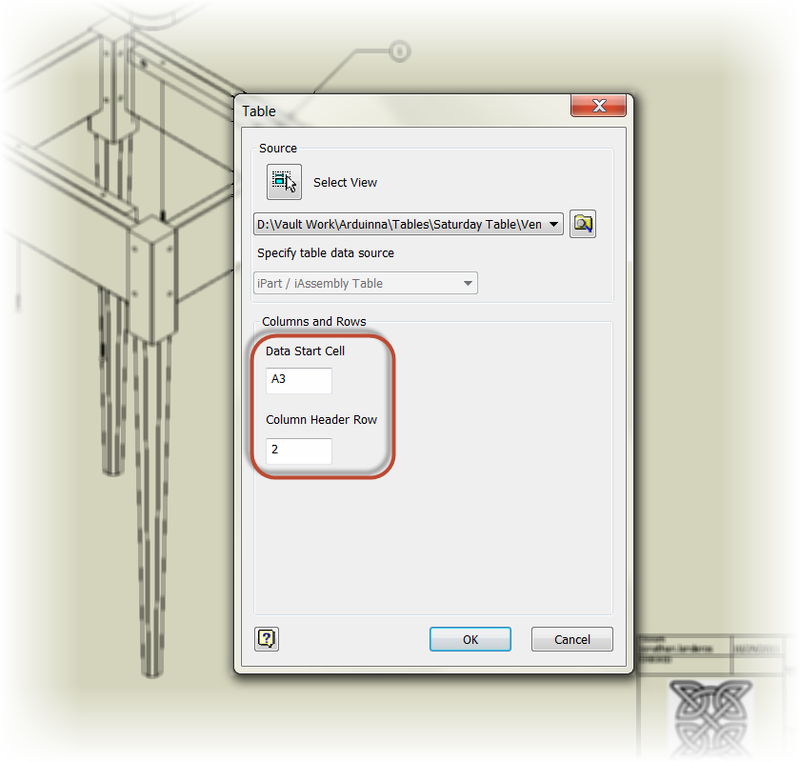 The first is to just open the Excel table up by browsing to it from Excel, the other is to locate it's link in Inventor's browser, right click, and choose "Edit". 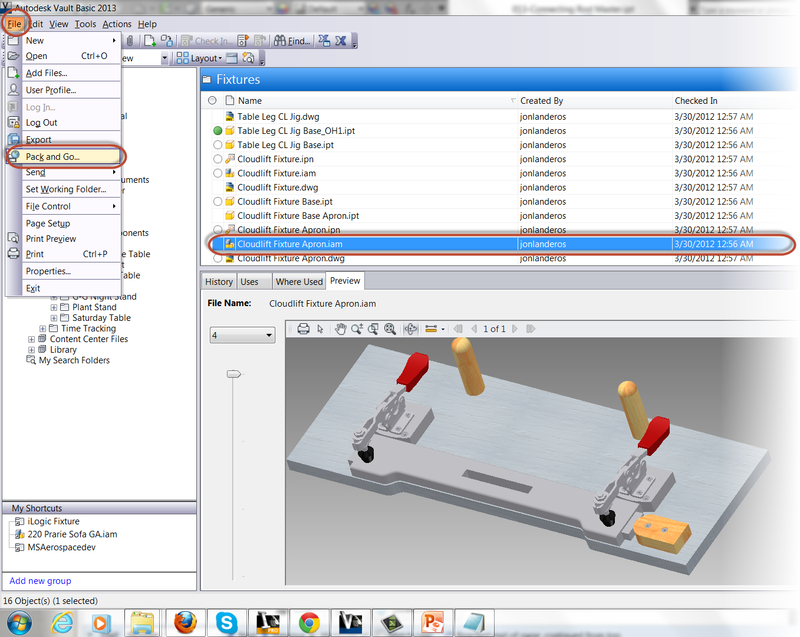 Right Click and Edit in Inventor's browser. Either way, I can now modify the file and save it. 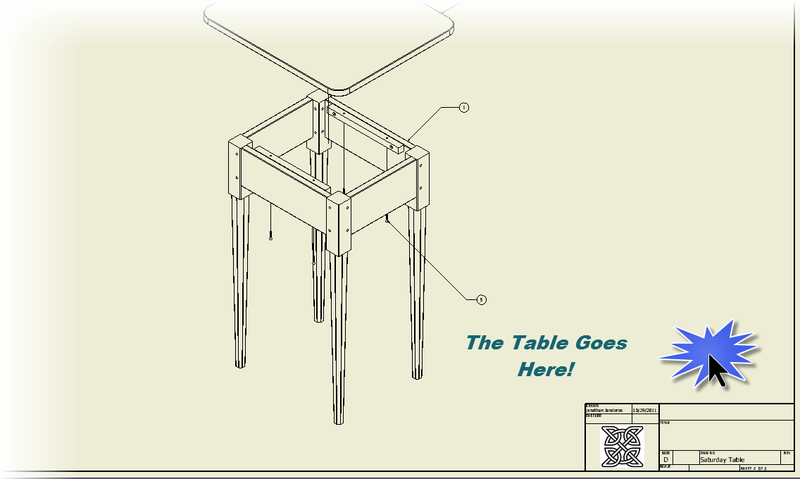 Once saved, the tables will update to reflect the new changes in both drawings. 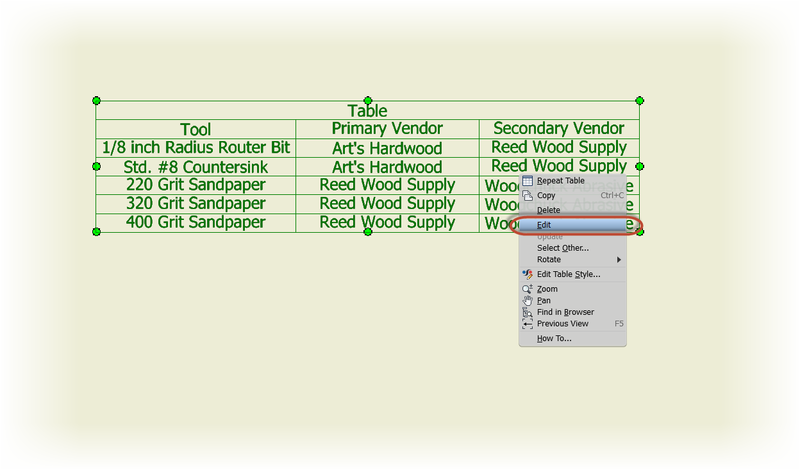 I've noticed that when I right click and choose edit from the browser, the table may not refresh right away. If that happens, right click on the table, and choose, "Update" . After that, all should be as it should be. 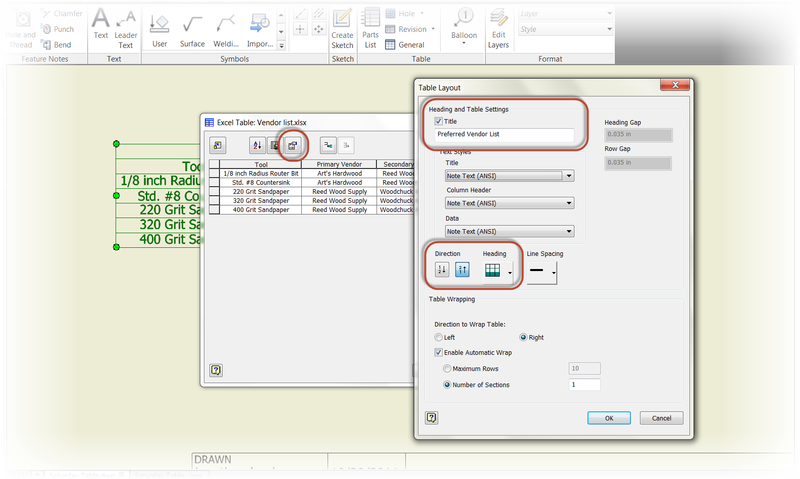 There is one other capability of this method I find intriguing If the table is edited like an Inventor Table, additional rows can be added to the table for a particular drawing. 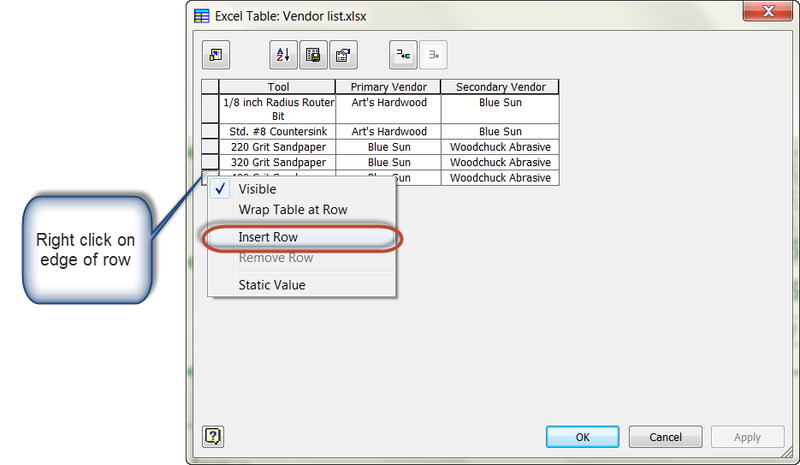 However, these rows that are added don't propagate back to the Excel table. I like the thought of this because if a particular project uses mostly the same "common" table items, but has a few that are unique, I can stick them onto the end of the table, and getting the best of both worlds. To accomplish these steps, right click on the table and choose edit. 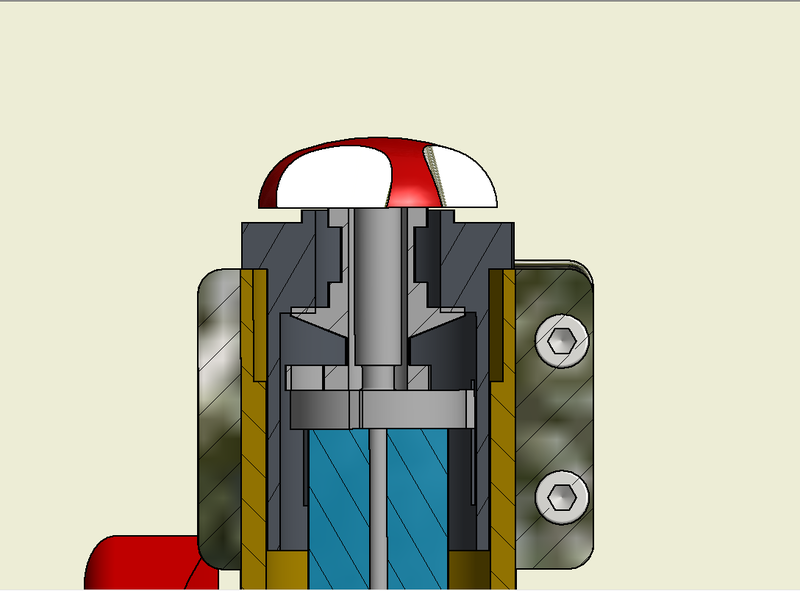 Next, right click on the edge of the border, and choose "Insert Row". Now enter the desired values and repeat as needed. In this example, a different finish is being used on the Saturday table, so I've added a finer grit sandpaper and spar varnish to the vendor list. 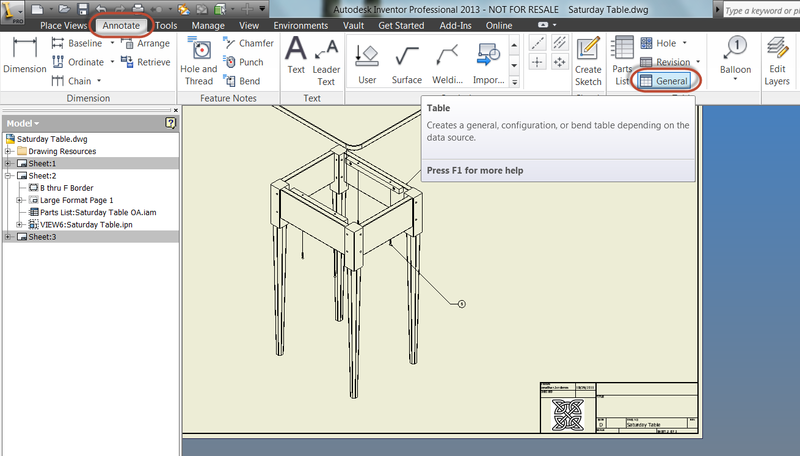 Since the table was edited in Inventor this time, only the drawing where I made the edits is changed. The rest remain the same, allowing me to keep common what I want to keep common, and add where I need to add. 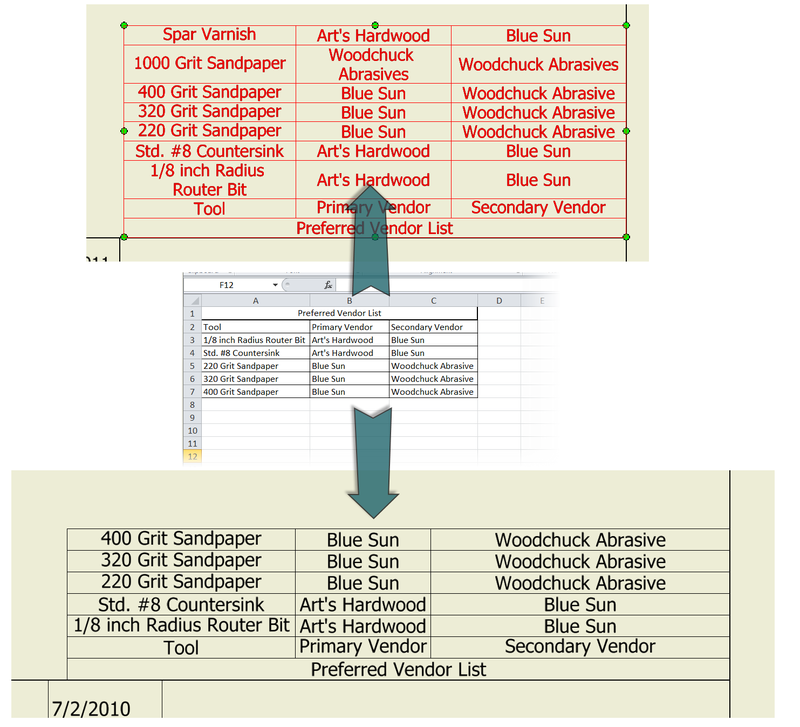 The two tables compared to their Excel source. Notice the added items on the top table. So that's it. 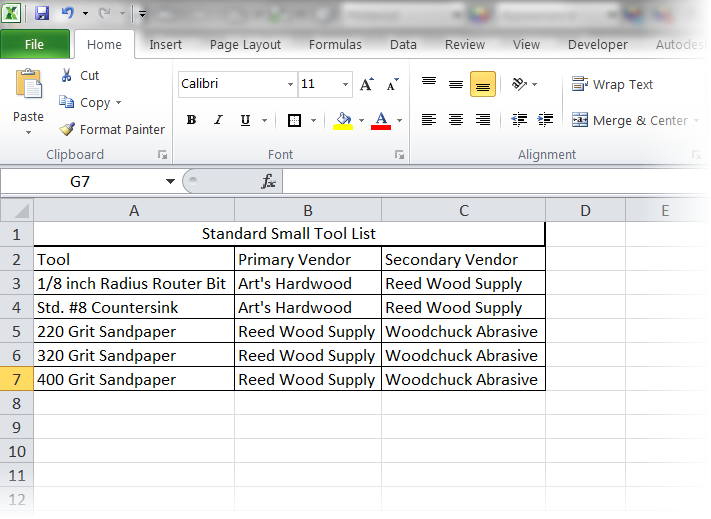 Utilizing the Excel table as a single reference, and making edits to accomplish different results. I do like some of the things I see here, and I think I'll utilize this more in the future. I hope you can to. And to wrap this up, check out the video on this work flow below! From 2D Picture to 3D Model. Ready, Set, 123D Catch! Technology marches on at an alarming rate sometimes, as a matter of fact, probably faster and faster every day. I remember when looking up directions meant using a paper map. I recall when "dropping a dime" actually meant dropping a dime into a coin slot on a pay phone, and when sending mail required the use of pen and paper. Now, just today, I simultaneously setup software on computers in Dallas and Pennsylvania without leaving my chair in Southern California. After completing that, I used my phone to get directions (with live traffic updates), and drove home while simultaneously chatting with a friend in Arizona. Times have changed.... And I do find myself wondering what technology the kids of today will see unfold in their lifetime. Tonight I stumbled onto a video of what a student is doing with the Autodesk Technology 123D Catch. All I can said is: "Wow". If you don't know what 123D Catch is, it's a technology that lets someone take multiple pictures of an object, and stitch it into a 3D model that can be used for creating concepts, presentations, and event 3D printed models. But I'll leave it to the video to describe. 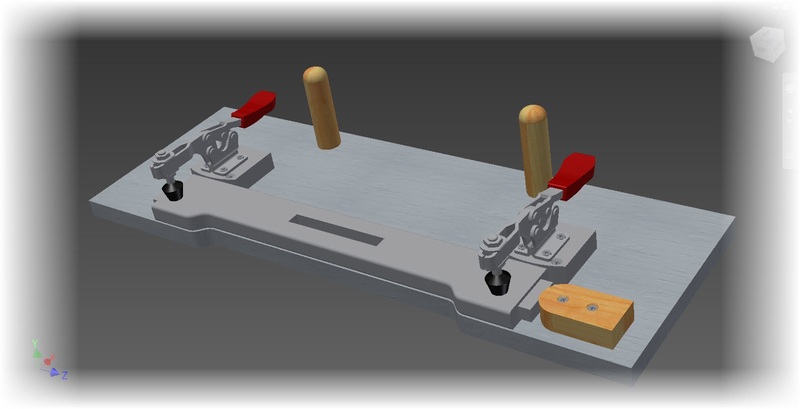 The student creating the models, Ehsan Noursalehi, shows how much an imagination person can do with new technology. I especially like how he uses Mudbox and 3dsMax to make the most of the scanned object! It surely inspires me! I hope it inspires all of us! “Hopefully my experience can help a little bit. I'm just a small piece of the puzzle." Over the years that I've strolled this earth, I've come to learn that just as important as knowing something, is knowing where to find something. One of my favorite places for finding information that help improve my skills in Autodesk Showcase is Marion Landry's YouTube Channel. Marion has some fantastic Showcase tips and I've learned many a new trick that have helped make my renderings better. In this video, she shows how to adjust shadows for the best appearance, and prevent them from getting "cut off" and just not looking right. Have a look at her video below! Thank you Marion for sharing! 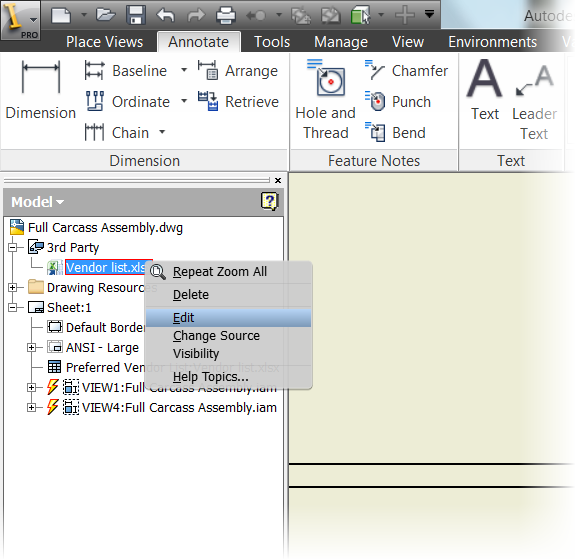 In last week's blog post, I showed how Pack and Go could be used from within Autodesk Inventor. But what if we're using Autodesk Vault? 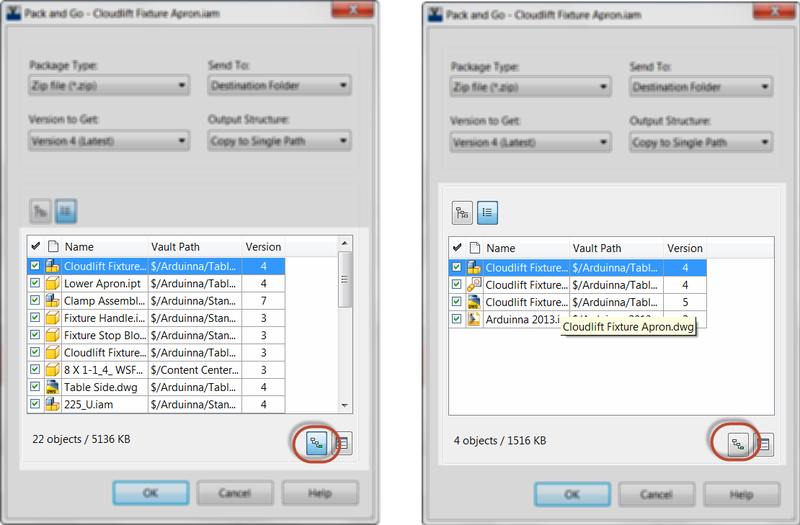 It's got a Pack and Go too, and it has a few extra options that aren't found in the Autodesk Vault version. For this example, I'll use the same jig I used last week. To begin, how does one access Pack and Go in Vault? First, I choose the assembly to pack up, and go to the File>Pack and Go Pulldown. This will bring up the dialog box with the options I can choose from. There are several options I can choose from. I'll briefly mention each, and tell you which I prefer. 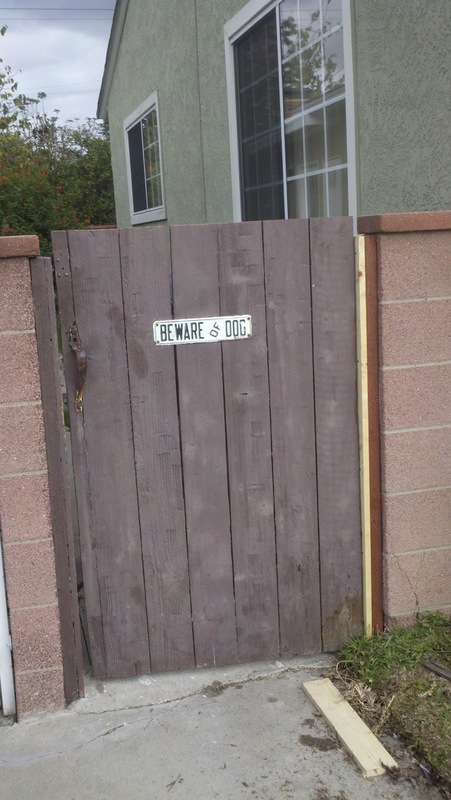 Naturally, your options may vary. It all depends on what you like, and what you're trying to accomplish. 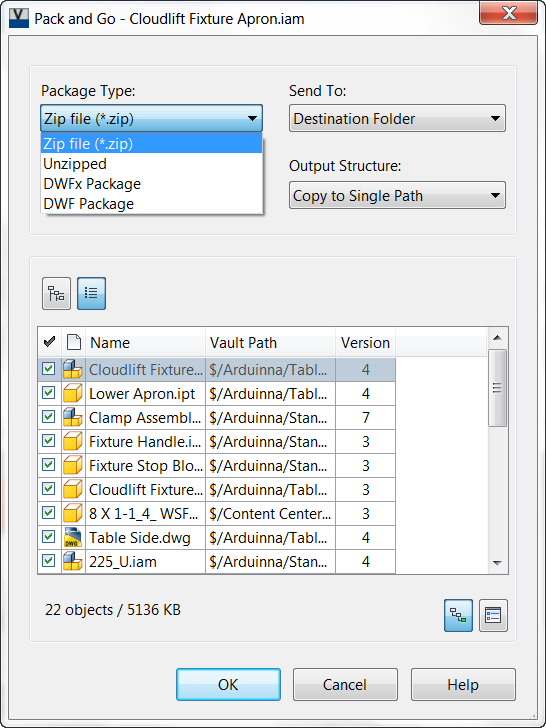 Recall that Vault remembers versions of the files placed there. 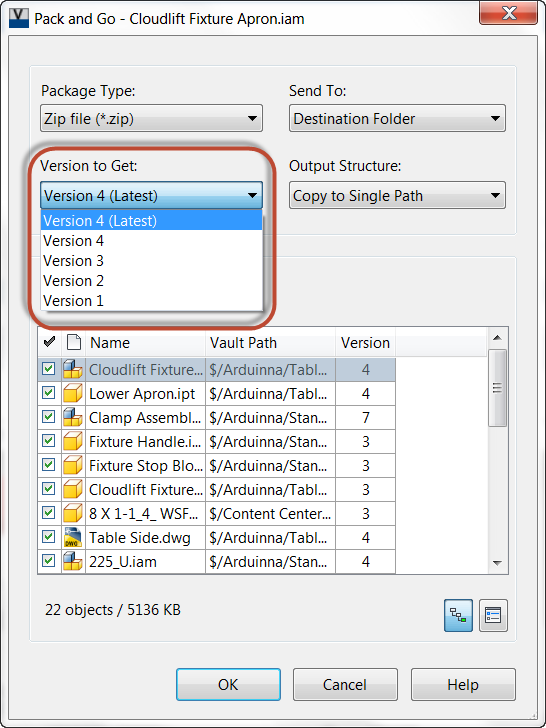 The Pack and Go tool allows me to choose which version to use. I'm usually sending out the latest file. Next is the "Send to" option. Where do I want to send the files? Where do you want your files sent? Mail recipient: Opens up my email program to send the files out. If you choose this option, make sure the collected files aren't so big, your e-mail system can't send them! This size varies from mail system to mail system! The next option is output structure. 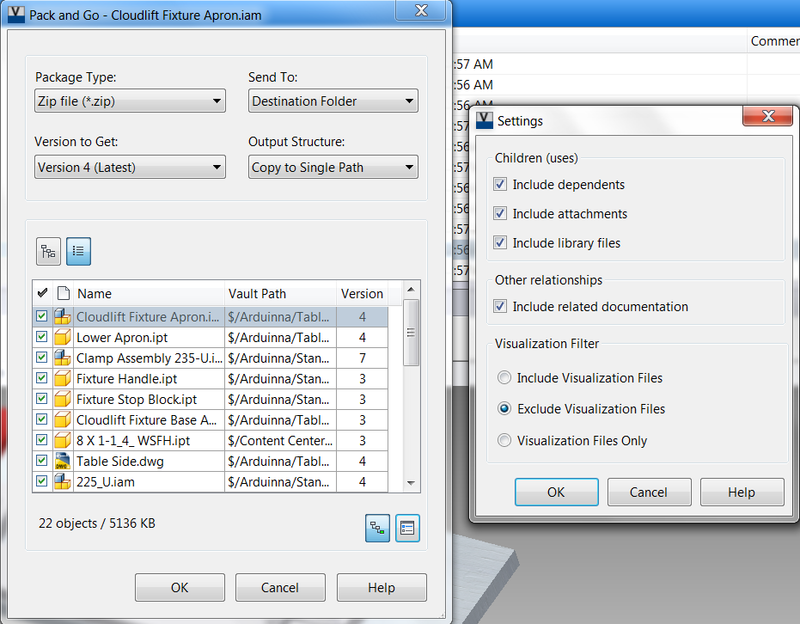 It defines how the folders of the files is configured. How do you want your files delivered? Single Path: Condenses all the files into a single path. I like this option when I'm not using zipped files. 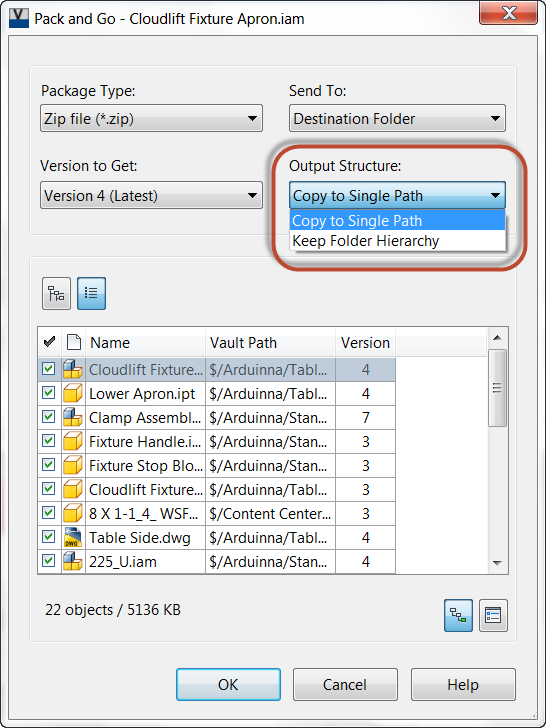 Keep Folder Hierarchy: Maintains the Vault folder structure in the exported files. The next option is a preview option. The indicated icons let me choose between viewing via the folder structure (left), or list view (right). I prefer list, but which you choose is up to you! 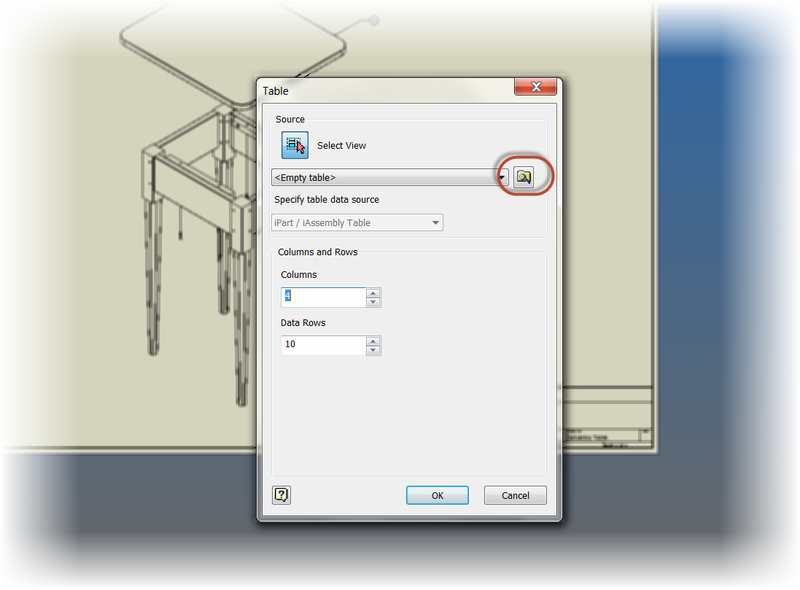 The next icon indicated at the bottom of the dialog allows for the fine tuning of the files. I can choose to include dependents (clicked), or exclude them (unclicked). The preview will show what files are exported. I prefer to include dependents. The final icon is for settings. 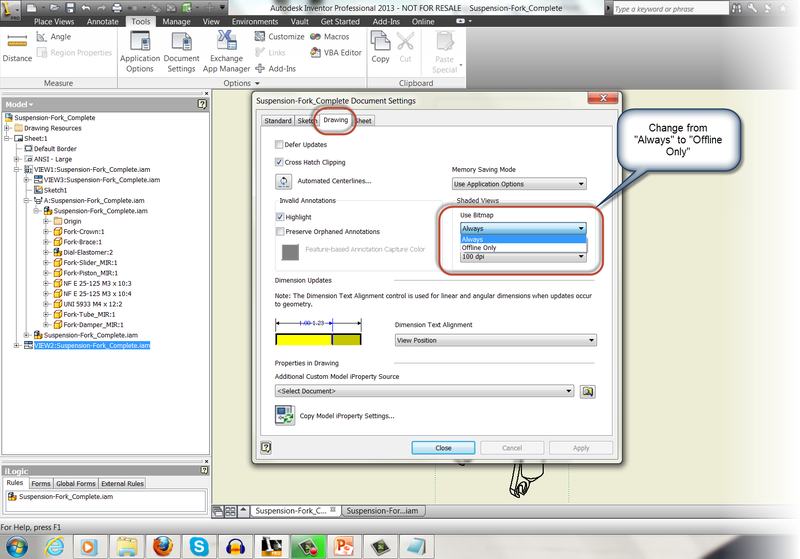 This option brings up a second dialog box that allows me to find tune my Pack and Go options. The screen capture shows my preferences. But here is a quick summary of what I prefer. Include Dependents: This is actually the same setting as above. It chooses whether or not dependent files are included. 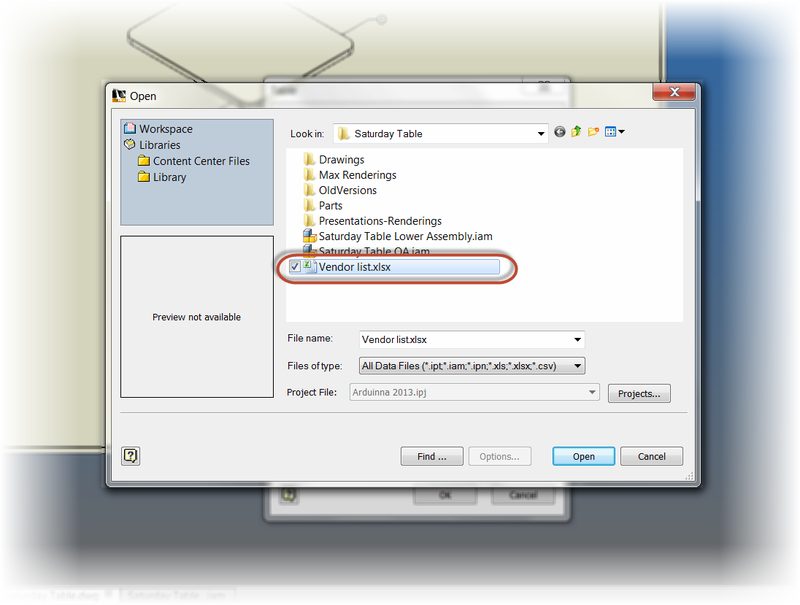 Include dependent files: This includes any files that depend on the files I've selected for Pack and Go. This can include drawings, so select this one carefully! I keep this checked. 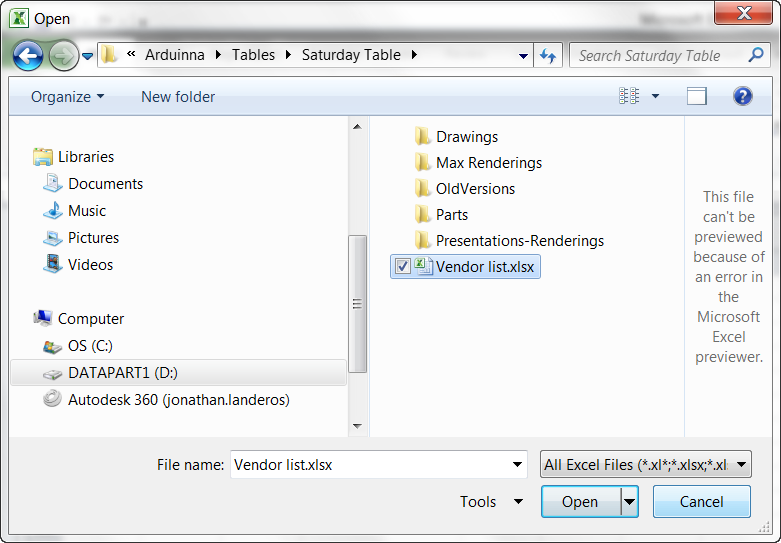 Visualization Files Only: Exports visualization files only, and excludes the model files. So there it is! 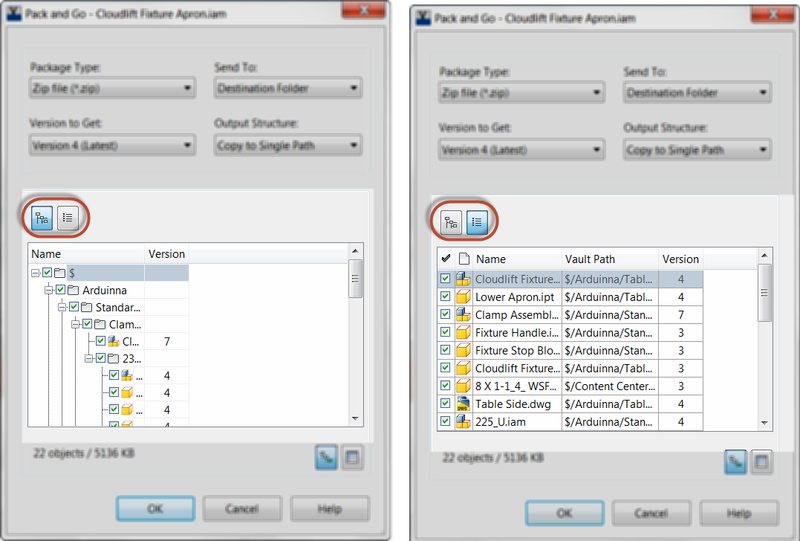 Autodesk Vault's Pack and Go in a big nutshell. There are a lot of options, so I hope this helps out. 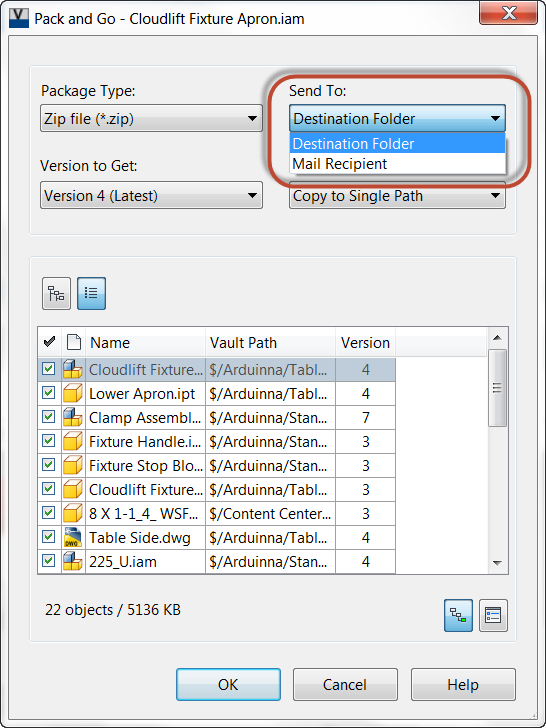 This can be a great tool for sending files to vendors or contractors, and can even be a way of archiving files. Take a look and see how it might help you! And as always, check out the video below!